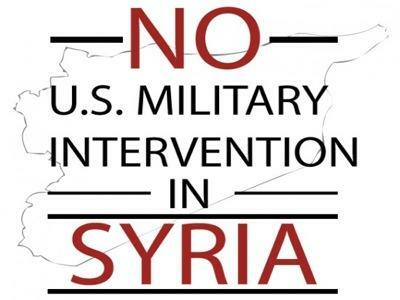 With the predictable failure of the Syrian peace conference, the call for the Obama administration to wage a humanitarian war to save civilians in Syria is once again being championed by some elements of the mainstream media in the U.S. This shouldn’t be a surprise to anyone, since certain powerful voices in the U.S. corporate media have long been in lock-step with some of the most hawkish elements in the Obama administration regarding the use of force in Syria. A sober, clear-eyed analysis of the logic of the decisions by the Obama administration suggest that the failure of the peace conference was a programmed outcome. The inescapable conclusion as to why the conference was even held, therefore, is that administration hawks saw the failure of the conference as a valuable public relations weapon to move public opinion in favor of more direct military involvement. Before I am accused of being overly cynical or even conspiratorial, a review of the decisions made in the days and weeks leading up to the conference provides more than adequate evidence to support this contention. If the Obama administration had been even remotely committed to brokering some kind of diplomatic solution, would it have insisted that all of the parties to the talks be bound by the terms of the Geneva communiqué that called for “regime change” in the form of a transitional government? Would the administration have excluded Iran or been committed to pretending that the “legitimate opposition” was represented by the Syrian National Coalition, a motley crew of slavish opportunist exiles who everyone knows have no real connection to the political and military situation on the ground? The propaganda value of the talks seems to be the only plausible explanation for why the administration would engineer the elaborate charade in Geneva. The decision to hold the talks knowing that they were going to lead to failure is where the real cynicism lies. As I have argued since the beginning of this manufactured conflict, peace and particularly the humanity of the Syrian people are the last things on the minds of U.S. policy-makers. The often-invoked concerns for the starving people of Homs and all of the other innocents in this brutal conflict continue to be no more than a crude subterfuge to allow the administration to pursue its broader regional geostrategic objective – the elimination of the Syrian state. That is why the Islamic fundamentalist groups that U.S. intelligence services helped to arm, train and deploy with destructive efficiency (without much real concern if they were affiliated with al-Qaeda) have targeted all of the institutions of the Syrian state – schools, hospitals, government agencies, electrical stations, water and sanitation facilities, food distribution networks – as part of their strategy. Generalized mayhem, reducing the population to dependence on their networks and territorial dismemberment have all moved the administration toward realization of its strategic objective. But because of the successes of the Syrian armed forces and the uncertainties generated as a result of internal conflicts breaking out among Islamist forces in the country, Washington decision-makers want to make sure that the Syrian government is not able to retake or reconsolidate its influence in contested zones. This can only be assured as a result of more direct military intervention on the part of the U.S. and its allies. So the next act in this macabre play is now centering on the very real sufferings of the Syrian people. The administration’s man at the U.N., Lakhor Brahimi, set this direction in motion by skillfully moving the peace talks toward the issue of humanitarian concerns. No longer needing the chemical weapons excuse, the administration along with its coterie of collaborationist human rights organizations and media apologists, are now demanding U.N. access to the areas where the Syrian governmental forces have hemmed in the armed groups. Taking a page from its Libyan playbook on how to manipulate the public to support war, the Obama administration had a draft U.N. Security Council resolution circulated that placed the full blame on the Syrian government for the humanitarian situation in the country. The language in the resolution was seen as so one-sided and belligerent by some U.N. members that it had no chance of being supported, which of course was the real objective. Orchestrated by U.S. Ambassador to the U.N. Samantha Power, the resolution appeared aimed at invoking a veto in the Security Council that would set the stage for another illegal NATO-led military assault on the Syrian armed forces. Instead, a resolution was passed over the weekend that some characterized as more balanced because it called on “all sides” to allow humanitarian aid to reach civilians and condemned acts of terror. But all of the delegations understand that this compromise resolution is primarily targeting the Syrian government. This concern for the humanity of the Syrians is comical if it was not so deadly serious. Sen. John McCain – the same Vietnam-era war criminal who was silent on the uprising of the people in Bahrain, the slaughter of innocent civilians in the various military assaults by Israel in Gaza and who supported the illegal war against Iraq that resulted in the deaths of over a million Iraqi’s – loudly condemned the Obama administration for not doing more for people suffering in Syria. McCain as well as the hawks in the Obama administration and in the media know that they have a powerful weapon with the imperial and racist notion of the U.S. government’s “responsibility to protect.” The New York Times, Washington Post and a number of other major newspapers are now on record suggesting that the “use of force” by the Obama administration to end the starvation of innocents trapped in besieged cities is morally justified. No one can deny the reality of tens of thousands of innocents suffering from the savage brutality of war. And who can disagree with relieving the sufferings of innocent civilians trapped in the middle of warring factions? U.S. decision-makers are well aware that most polling data suggest that when issues of humanitarian concerns are introduced, public support for more direct involvement in Syria shifts from a majority that is opposed to a slight majority that would support it. So the U.S. public has been saturated over the last two weeks with stories about the trapped civilians, the cruel al-Assad government opposing humanitarian access and the innocent American administration that only wants to help the suffering Syrian people. The sad part of all of this is that with the anti-war and anti-imperialist movement in shambles, suffering from a combination of institutional weakness, marginalization and the effects of the “liberal virus” that has confused and disarmed U.S. radicals, the administration may very well be successful in maneuvering the public into supporting more direct military involvement. The consequence of all of this for the people of Syria will be more violent destruction, brutality and displacement. But I am sure that the pro-imperialist and pro-war Democrats in the Obama administration have concluded that for the Syrian people, freedom – as they define it – is “worth the price” in death and destruction. And they will not see any irony in this.